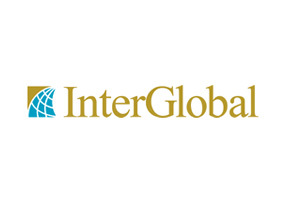 Interglobal is a result of a joint venture between British company Integra Groupa and New Zealand's Mike Henry Group. Integlobal started its operations in 1998 and has since then been an active player in the international insurance market providing highly comprehensive health insurance policies to people around the world. Apart from the standard individual, family and group health insurance policies Interglobal also offers comprehensive health insurance plans for international students and teachers working abroad. With over a dozen offices strategically situated around the world the Interglobal team prides itself on managing all the policy administration, renewals and claims handling in house. For their clients this means effective and immediate assistance whenever and wherever they are. Interglobal has won numerous awards for their innovative, flexible and highly personalized products and services. In 2011 they have been honored with Best International Private Medical Insurance Provider from the Cover Excellence Awards. Interglobal is highly praised for their family friendly outlook. If you would like to get more information about Interglobal in Russia please fill in the query form at the top of this page. Alternatively you may contact us in order to seek expert advice directly from our knowledgeable Russia Health Insurance consultants.